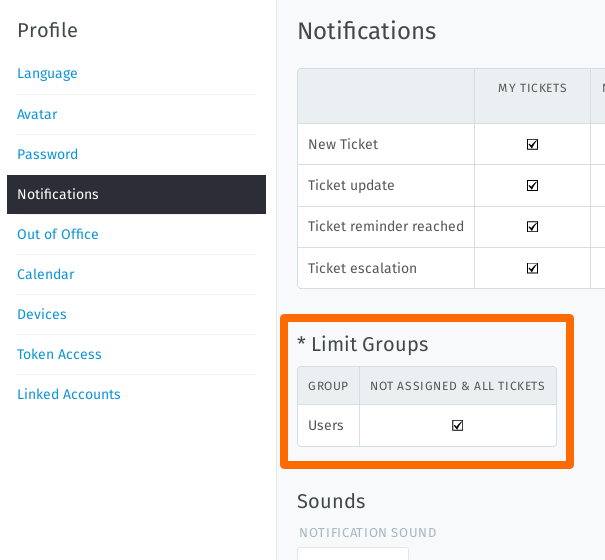 Groups are a form of access control that allows you to dictate which agents are allowed to do what to a given ticket. Suppose your organization uses Zammad for both sales and customer support. You’ve got ten different agents spread across two teams, handling dozens of tickets a day. If, instead, each agent were assigned to an appropriate group, then they’d only ever see the tickets that belong to their own group. So how do I manage which team I’m on? You don’t – that’s the administrator’s job. This user belongs to only one group (“Users”). If you belong to more than one group, you may re-assign a ticket from one of your groups to another. In general, though, you won’t need to do this unless you’re an admin, or an admin has discussed the procedure with you beforehand.